- Rock Split is a Novel explosives based on space technology introduced for the first time in the country. 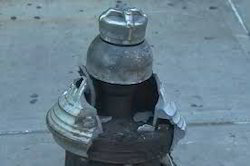 - Rock Split is non-detonating explosives designed for controlled blasting near built up areas. Hydraulic Splitter is the most suitable alternative for Rock Excavation where there are strict restrictions on noise, dust, flying debris, vibrations, and exhaust gas. It is one of the most environmentally friendly way to demolish rock/concrete without any kind of danger to the surroundings. Urmi Trenchless Technology Pvt. Ltd. Founded in 1988, OSM is a specialised company which manufacturers parts for pneumatic and hydraulic hammers. 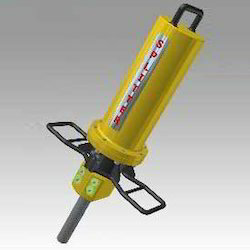 Hydraulic Splitter is the most suitable alternative for Rock Excavation where there are strict restrictions on noise, dust, flying debris, vibrations, and exhaust gas. Our company has been successful in winning appreciation from the clients as one of the most prominent names in the trading of Hydraulic Rock Splitter. Conventional demolition techniques destroy rock and concrete by using an external force. However, because of their compressive strength, these materials are highly resistant to impact forces. Robust and reliable excavator mounted splitter for more efficient dimensional stone quarrying, rock and concrete demolition. 5-10 times higher efficiency in splitting bedrock and rock wall than hydraulic hammer Stone and powerful excavator mounted splitter to provide sustainable solution for cost-effective, high productivity and safe application.